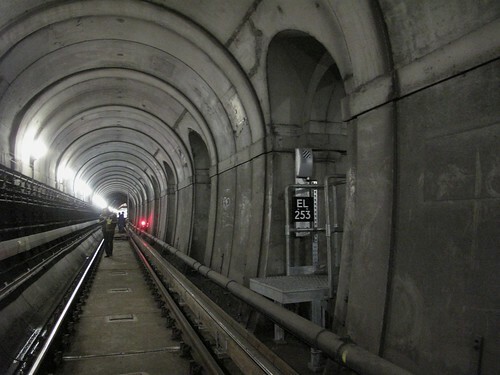 Well today was a big day – I got to walk through the Thames Tunnel. It’s the first tunnel ever to be constructed under water and was done so by Marc Brunel and his son Isambard Kingdom Brunel. You may of heard of him. After the mess that was trying to get tickets over the phone and the website, I got a ticket for this afternoon. But not before getting the wrong ticket type and being charged three times. There’s been lots written about these tours by other Londony types here, here and here. So rather than re-hashing what they have already said I’ll just link to my photo set over on Flickr. Next Next post: P.E.I. Still Exists, Right?